To ensure that everyone makes the best use of the delightful summer, we gathered together a list of our four favorite beer gardens, all of which sit in or near the Rocky Mountains. The best feature of this list is that these beer gardens usually remain inviting for three seasons (if not for a fourth season during those warmer winter days Colorado often boasts). Palisade Brewing Company: We think the Western Slope is too often overlooked by Front Range natives and tourists alike, though we always enjoy our time in Colorado’s peach and wine country. And while our focus might include picking fruits and sipping wine, Palisade Brewing provides a lovely malted beverage relief. And it’s definitely the hot spot for locals. Out on the patio, it seems like everyone knows one another by name. They do, but don’t be intimidated, the staff will invite you up to the bar with welcoming hospitality. 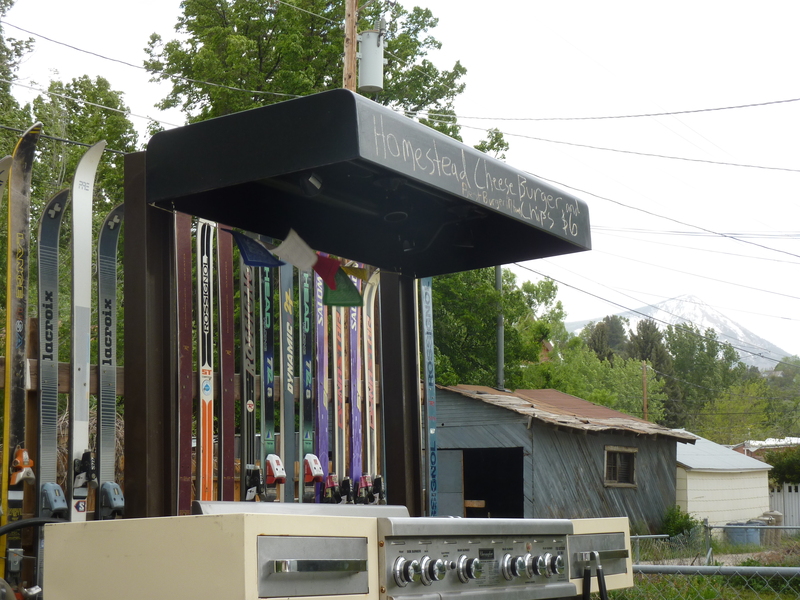 Pagosa Springs Brewing Co. and Grille: We wandered into their very Munich-style beer garden over two years ago, and it was one of the first places that reminded us how lovely outside seating can be for the wary traveler. 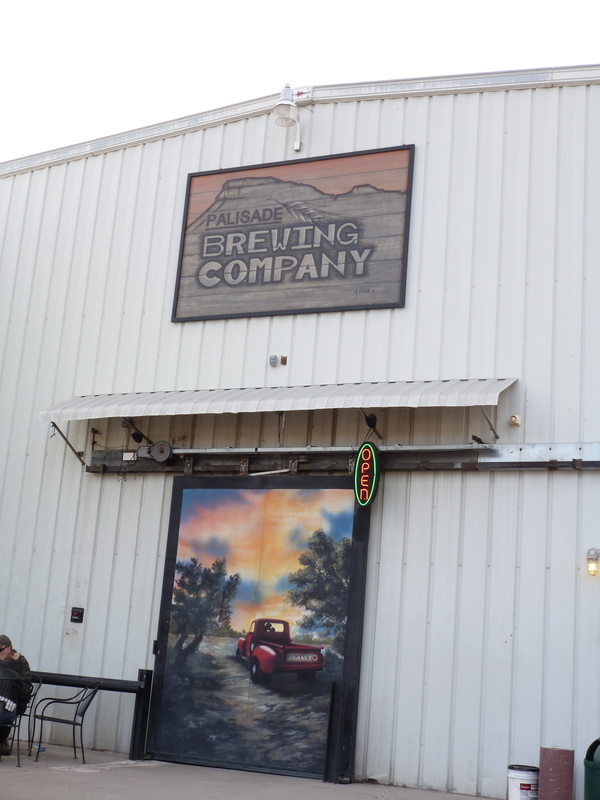 While it might not be the best idea after boiling in the hot springs, Pagosa Springs Brewing is definitely worth the stop on your way to or from Durango. And who needs hot springs anyway? Put a pint of award-winning beer in my hand, a picnic table beneath my seat, Bavarian pretzels and cheese sauce within reach, and I’m in spa heaven. Golden City Brewery: This is where the minds from the School of the Mines gather. 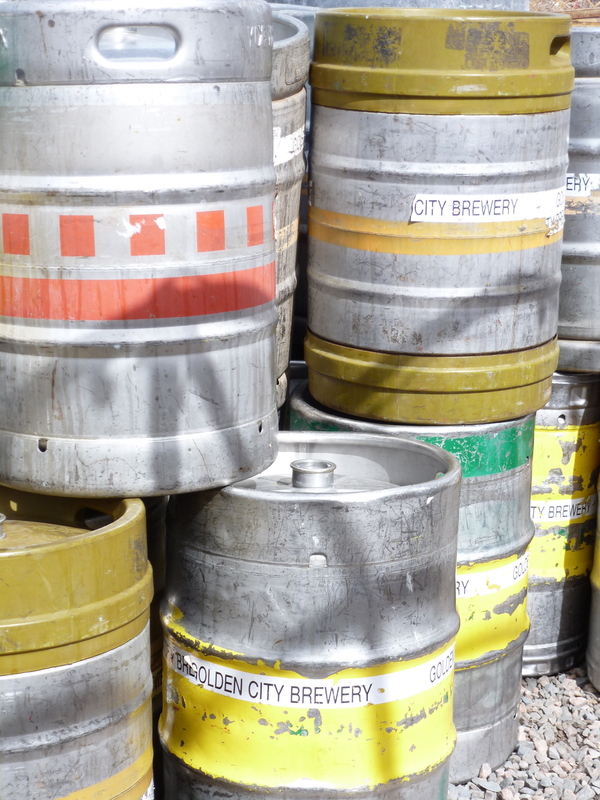 In comparison to its neighbor, Coors, Golden City Brewery is the town’s 2nd biggest brewery, but most definitely its best. I could sit here all day (and I have) looking up at the foothills and sharing a pitcher of their beer. If you’re hungry, they offer baskets of pretzels in addition to selling local pizzas and brats boiled in beer. You’re also welcome to bring in a picnic of your own . . . for a delightful beer/food combo, we recommend burritos from Santiago’s, just off the 58 on your way into Golden. Revolution Brewing of Paonia: We awarded Revolution a customer service award earlier this month for their exemplary website. It turns out that they are as inviting with their outdoor seating as their on-line presence. And don’t be confused, their beer is awesome as well. Surrounded by a fence created from old skis, Revolution’s Beer Garden has a classic, welcoming feel. It’s the type of place that if you show up alone, you are sure to make friends. If you don’t, worry not, the beer continues to be delicious. Excited yet? We hope so. While there are many places to choose from in Colorado with exceptional beer gardens, these places pack the perfect combo of tasty beer and food, welcoming atmospheres, and fresh air. Enjoy! This entry was posted in Beautiful Breweries, Craft Beer Adventures and tagged Beer Gardens, Colorado Beer Gardens, Colorado Wine Country, Golden City Beer, Pagosa Springs Brewing, Palisade Brewing Company, Paonia, Revolution Brewing.